In 1901, SigEp’s founding fathers set out to provide an unparalleled fraternity experience. These 12 young men recognized the need for personal growth during the most crucial years in a man’s life. They dreamed of a supportive experience with a brotherhood of high achievers. Ninety years later the Balanced Man Program (BMP) was created to meet this same goal. The BMP makes SigEp stand out among the Greek community and other student organizations. This chapter-driven program is exactly what young men need - a continuous development experience focused on scholarship, leadership and life skills that complements a university’s classroom curriculum. The refinement of these crucial skills helps our brothers succeed upon graduation and prepares them to achieve balance and satisfaction in every aspect of their lives. Eighteen-year-old high school graduates often come from a highly structured, supportive and supervised environment. While they may relish their new-found independence, the hundreds of hours they will spend outside the classroom may be a challenge for men to stay focused and goal-oriented. 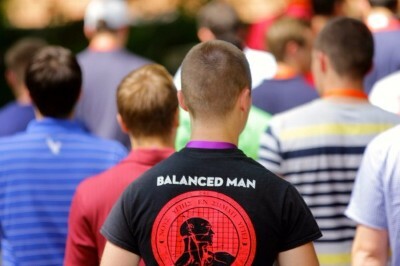 The Balanced Man Program is designed to provide a sufficiently structured, supportive experience with a brotherhood of high achievers, close friends, and mentors to provide personal and professional guidance. The result? A graduate who develops the skills he needs to thrive during and after college. An element of the BMP is to uphold the tradition of SigEp’s Founders to give a member full rights the day he joins, so he becomes a full contributor with equal responsibility. For each year of college, a brother is challenged to develop himself personally, academically and professionally both in and out of the classroom. Brothers who hold each other accountable for reaching goals, upholding standards, and behaving in alignment with their values will achieve more and give more to others. The Ritual experience is more than a ceremony; it is a daily practical application of each brother’s commitment to the values of the Fraternity. Mentoring is one way both undergraduates and volunteers enable the development of their brothers and themselves, deepening the chapter experience.